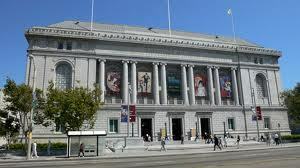 High Finance And The Asian Art Museum: Worth The Risk? As art museums have expanded in the past few decades, Cassandras have warned that one day there would be a none-too-pretty reckoning. With easy money, stratospheric ambitions, hometown pride and trustee egos all at work, many arts institutions—like many homeowners—overreached. In the past few months, the Asian Art Museum of San Francisco has had its moment of truth. Fortunately, in a deal reached earlier this month, it was able to refinance a debt load that last fall threatened to throw that institution into bankruptcy. But while officials there portray the AAM as a victim of the Great Recession, it's an open question whether AAM—or other arts institutions—should have borrowed so much money and dabbled in variable-rate demand bonds and interest-rate swaps at all. In years past, most museums would manage their endowments and borrowings conservatively. But new financial instruments have tempted them, like everyone else, to take more risks. The Asian Art Museum's troubles go back to the 1989 Loma Prieta earthquake, which ripped through its old home in Golden Gate Park and forced a move. In 1994, the museum agreed to decamp to the old main library, owned by the city (which also owns the collection, pays for about one-third of the museum's annual $17 million operating budget and directly employs a third of its staff). The city paid for seismic upgrading via a voter-approved bond issue, and the museum—through its foundation—undertook a capital campaign to turn the library into galleries, which opened in 2003. In 2000, after raising $100 million in gifts and pledges, the foundation borrowed $107 million against that sum in a 30-year, fixed-rate bond issue underwritten by J.P. Morgan Chase and insured by MBIA, whose triple-A rating allowed the museum to secure an interest rate of about 5%. In 2005, the foundation refinanced, using the same financial partners: It issued a $120.4 million variable-rate offering and entered into a swap arrangement designed to fix its interest at 3.4%. When, in 2008, MBIA got into trouble because of its investments in mortgage-backed securities, the foundation's bonds lost their protection, and the interest rate soared past 10% before settling at about 7.5%. Only in December 2009 was the foundation able to secure a one-year letter of credit from Chase that brought its interest rate back to 3.4%. In the intervening 18 months, the foundation's bank and investment accounts, already diminished by the global crisis, were drained. The crunch came last November when Chase declined to renew the letter of credit—with reason. The foundation had $92 million, all told, but only $55 million in unrestricted and unencumbered funds to support the bonds, whose principal was now $119 million, due over 23 years, plus interest obligations. Moody's downgraded the bonds to junk, kicking in an accelerated payment schedule that would have sent the foundation's annual payments to more than $30 million. That's more than the museum's annual revenues before expenses. The museum hired a bankruptcy lawyer and actually issued a statement that it was "open for business . . . despite financial challenges." Pressed for a solution (by, among others, a city attorney running for mayor whose inflammatory four-page letter reminded Chase's chairman, James Dimon, that the bank earned $13 million in fees from the financings and warned him to "preserve all documents" related to them), Chase extended the protection by a month and went to the negotiating table. Salvation came in a complicated deal in which Chase cut the principal owed to $99 million, returned to the foundation $13 million pledged as collateral, and will replace the variable-rate bonds with a fixed-rate issue at a 4.6% interest rate, with some payments deferred for two years. But the city will now guarantee the debt, and the foundation will embark on a three-year campaign to raise $20 million to pay off the debt. Through all this, the museum and foundation maintain that they did nothing other institutions didn't do. And that is probably true, just as all those homeowners who borrowed beyond their means in ways they did not grasp were part of a big crowd. But that doesn't mean the museum and foundation were prudent. When, for example, the interest rates soared, they didn't have the cash to prepay the debt. In an email response to questions, Mark McLoughlin, the museum's CFO and COO, said "the repayment model, a model typical for major nonprofit building expansion projects, was that—over time—the unrestricted endowment's investment returns would be sufficient to service the principle [sic] and the interest of the debt. In fact, the museum's unrestricted net asset ratio of 93% at 6/30/07 was well in excess of the ratio required in the bond covenants." But variable-rate demand bonds were obviously a gamble, and the swaps, notes Moody's managing director John Nelson, created another gamble, including—when problems occur—the potential for a liquidity squeeze. "It's very different from a fixed-rate deal, where you know the cost up front," he says. No one anticipated the severity of this recession, of course, and states, cities and other nonprofits that used swaps are having troubles, too. Yet Mr. Nelson notes that museums are more subject to economic downturns than any other category of nonprofit. All of their revenue sources—philanthropic contributions, admissions and other earned income, investment gains, government contributions—tend to decline at the same time. Museums know that—or should. How many other museums are in these particular straits is unclear. Janet Landay, executive director of the Association of Art Museum Directors, says she knows of none among her 200 members. A few small museums, like the Fresno Metropolitan Museum, have closed because of financial woes, and experts like Joseph Kluger, a principal at Wolf Brown (which advises nonprofits), believe that many are stretched thin, but maybe not with this kind of debt. Of the 43 cultural institutions rated by Moody's, only three besides the AAM have bonds deemed junk. Courting visitors takes imagination and money, to be sure, and even if those visitors pay the surcharge for special exhibitions that AAM recently added, their total contributions will cover only a small share of the museum's budget. But crowds also tend to draw donors, who want to be part of the excitement. If museums do that part of their job well, they shouldn't have to gamble on high finance.